Building a virtual space for your class can immensely boost the teaching you do in class and enhance students learning. Over the last few months we have reviewed several interesting digital platforms that are ideal for creating and hosting a class online. The last thing we have talked about in this regard is Facebook Groups. Today, we are introducing you to another equally significant platform with huge educational potential for teachers and students. 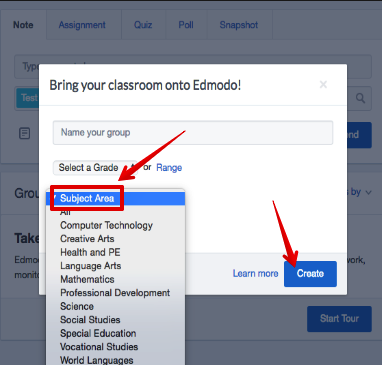 it’s Edmodo. We are more specifically interested in one of its features called Edmodo Groups. As a teacher, you can use Edmodo Groups to establish an online presence for your class. You can create different classes (or groups) for different school subjects. 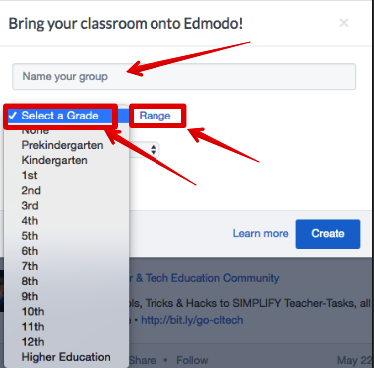 Unlike Facebook Groups, Edmodo does not require students to log in using email addresses. They can sign up and join the group using the 6 digit Group Code or generated URL. 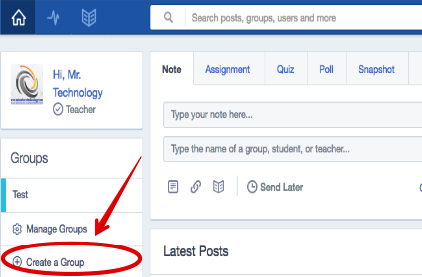 As a virtual student-centred space, Edmodo Groups allows you and your students to engage in meaningful discussions and interactions. It also enables you to create polls and quizzes, take notes, assign homework, track your students progress on assignments and quizzes and many more. 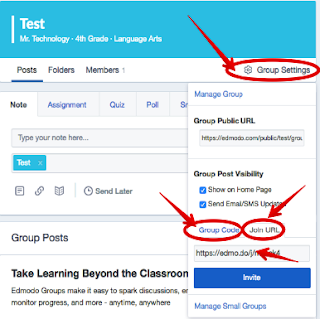 In this visual step by step guide, you will get to learn how to create an Edmodo group for your class and how to invite students to join in. 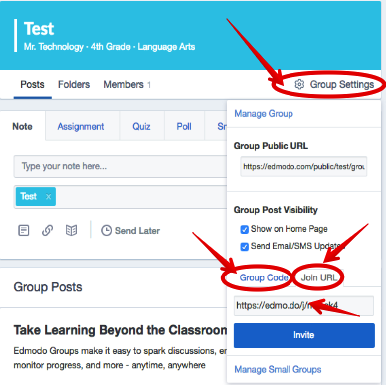 4- There are two ways to invite your students to your class: using a Group Code or through Join URL. Both of these options are located in ‘Group Settings’ as shown in the snapshot below.